Receive Your Richest Life blog posts in your inbox. 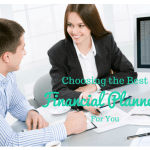 Katie Brewer, CFP® is a Dallas, Fort Worth, and online fee-only financial planner with over 10 years of experience. Her passion is helping clients get their financial lives in order to start living their richest lives. Your Richest Life is a Fee-Only financial advisory firm providing honest and independent financial advice. Our clients, the members of Generations X and Y, have a different relationship with money than their parents did. This site is published for residents of the United States only. Your Richest Life may only conduct business with residents of the states and jurisdictions in which Your Richest Life is properly registered. Therefore, a response to a request for information may be delayed until appropriate registration is obtained or exemption from registration is determined. Not all of the services referenced on this site are available in every state and through every advisor listed. This webpage offers direct access or ‘links’ to other Internet websites. These sites contain information that has been created, published, maintained or otherwise posted by institutions or organizations independent of Your Richest Life, LLC. Your Richest Life, LLC does not endorse, approve, certify or control these websites and does not assume responsibility for the accuracy, completeness or timeliness of the information located there. 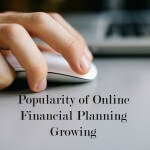 Visitors to these websites should not use or rely on the information contained therein until consulting with an independent finance professional.